Peripera became my favorite Korean brand especially for lip products. 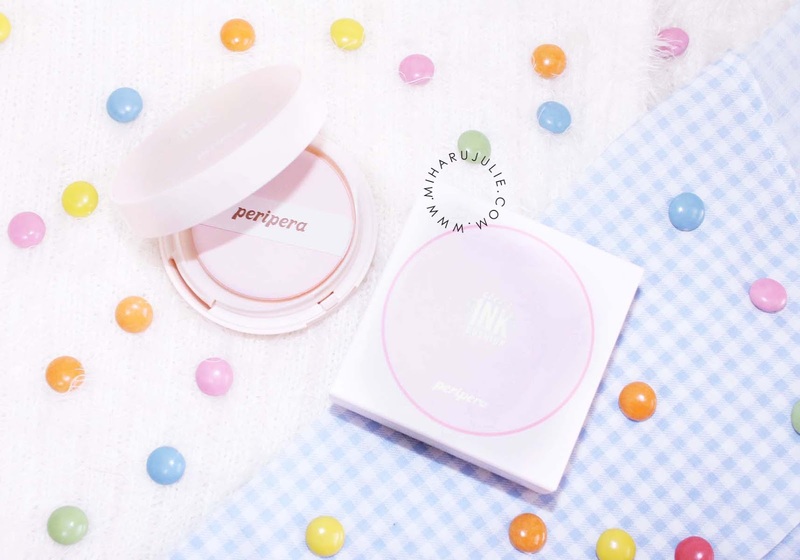 The quality for their products are great while they offer affordable prices and now I will give you 3 recommended the best peripera products you must to try. What's more, the packaging of them are mostly cute and attractive. Available in 2 shades. Gives enough coverage and has got a fine texture that allows skin to still breath in it. Although you can still layer up as many times as you want throughout the day for touch ups, you would still not feel like it's heavy at all. I love how soft the cushion that comes with it. I feels like angel’s hands touching my skin. Gives my skin that glow it needed. Peri's Tint Ink collection is the newest addition to the Peri's Lip Tint collection and is the ultimate lip stain for rich and intense color that lasts. Ink envelops lips in a lightweight texture of highly pigmented hues for bold and beautiful lips. Achieve a fun and playful lip or go seductress bold. Soft smooth blur effect to hide blemishes and pores. - Moisturize inside, matte outside! Smooth soft finish covers pores and blemishes all at once!. - Flawless, clean canvas skin completed!. 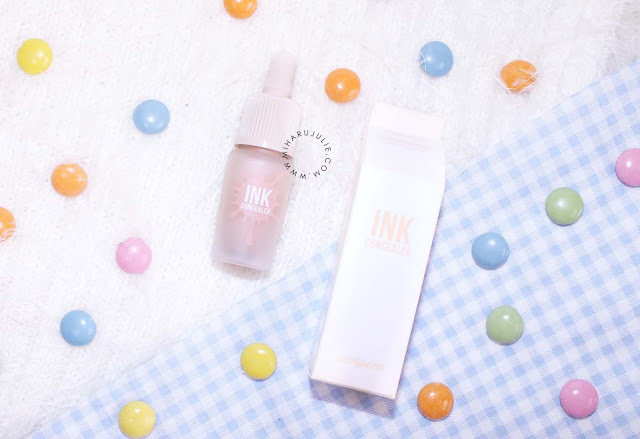 Blurring Effect : Skin blemish cover and tone-up effect to make the skin elastic and firm like baby’s skin by filling up skin texture smoothly. - Silica powder with a high absorption effect makes the skin look flawless. - Sebum trapping : Excellent sebum absorption makes the skin look matte. - Wrinkle blurring : A light reflecting effect covers wrinkles. Texture: I love how the consistency is very creamy. It’s not very thick nor is it thin. It’s the perfect in between. It glides on easily and its able to get just enough product on selected areas. 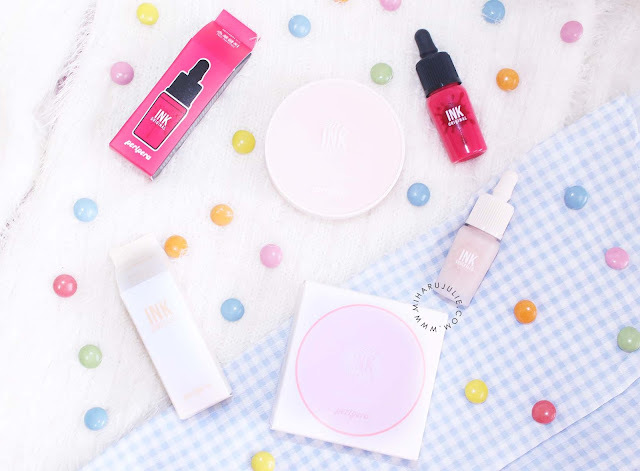 These products are surely a must try <3 Great post! Hugs! 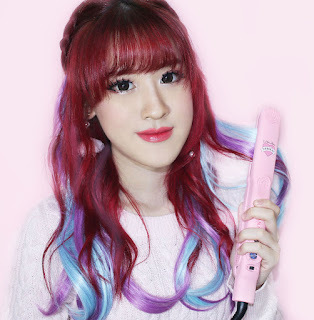 bentuk lip tint nya lucu hehe..
Peripera si liptintnya selalu the best sih, aku selalu suka sama liptint peripera.